I’ve always found it entertaining to see the contrast, or just small differences, between particular economic views. As I’m sure some of you are aware I follow Paul Krugman’s blog on the New York Times website. Once in a while I come across some interesting posts where I can clearly see a contrast between his new-Keynesianism and my Marxism. Obviously this is one of those times or I wouldn’t be writing this. 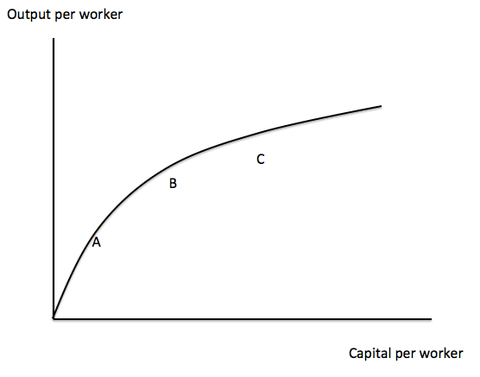 The subject of this one is incremental capital output ratio, but more specifically whether or not diminishing returns constitutes a waste of capital investment. A new paper put out by China’s National Development and Reform Commission and the Academy of Macroeconomic Research, suggests that China is wastefully spending capital due to this very diminishing return. 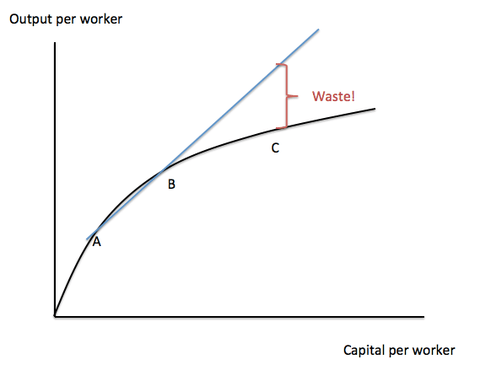 Krugman argues that it is not waste, but merely a diminishing return. This diminishing return is also a good thing according to growth economics. The problem arises with a $6.8 trillion supposed “ineffective investment”. The argument stands that since there is a decreasing rate of return on capital invested, this constitutes waste. Krugamn claims what appears is actually an engagement in capital deepening as opposed to waste. Here for the sake of brevity I’ll give Krugman’s explanation. In that case the economy does face diminishing returns, but that’s what is supposed to happen. Krugman says that this is not waste but a diminishing return which is supposed to happen. To a point yes I’d agree with what he says. Under bourgeois economics, particularly Keynesianism, this is not waste but the inevitable result of investment. To a Marxist this would be waste. In our particular view this represents a terrible inefficiency caused by the contradiction of the production of commodities for their exchange-value and opposed to their use-value. In a socialist (and communist) society this would be directly invested according to fulfilling a need, rather than a projected return on fulfilling a want. The problem lies in commodity production for what you can gain in surplus-value (profits) which cannot be known until it is realized in the marketplace. Direct production for need is much more efficient in this regard as it produces value directly for the need it fills. Only capitalism could take inefficiency and call it beneficial, because of course it justifies exploitation and profit making. Instead they see it as, “wasteful spending is better than no spending,” to use Krugman’s own words.